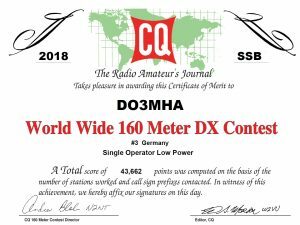 After half a year of waiting, the result of the CQWW 160m Contest is complete. In the SSB part I reached the third place in Germany. In total, 45 German participants submitted their logbook. 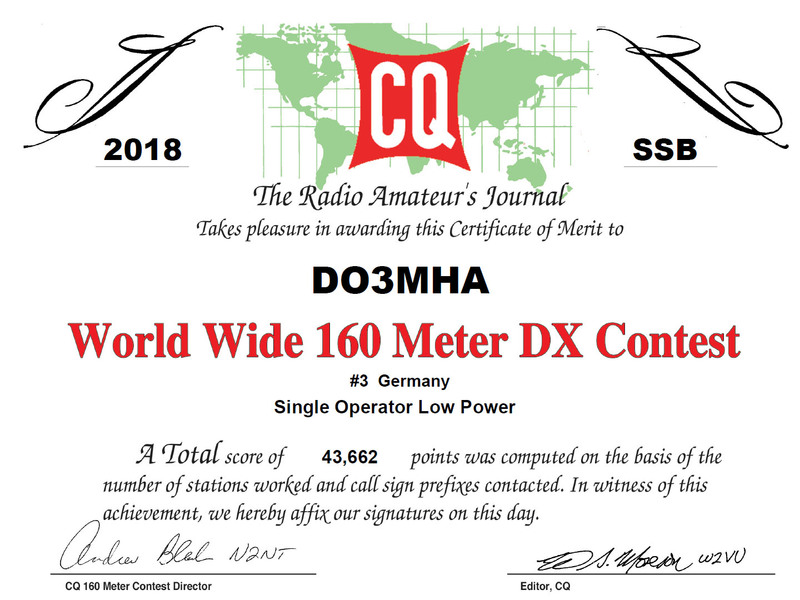 Many thanks to all the stations that participated in this competition and helped me to achieve third place in DL.